NASCAR conducted a post-qualifying inspection Saturday afternoon. It was not a good day for many of the teams for the top drivers in the sport. Chase Elliott, Jimmie Johnson, Denny Hamlin,Erik Jones, Aric Almirola, Matt Tifft and Joey Gase all failed. They will pick last for their pit stalls, start the race from the rear and be scored from the back in DraftKings and FanDuel Contests. I am not making any changes to my One & Done pick. 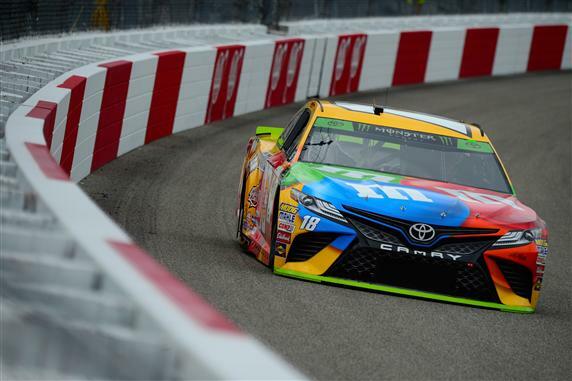 Kyle Busch’s odds of winning went up even more with Chase Elliott, Denny Hamlin, Jimmie Johnson, Aric Almirola, Daniel Suarez and Erik Jones all going to the back. I am not making any changes to the Driver Group Game picks. My Group B choices were Kurt Busch, Denny Hamlin, Jimmie Johnson and Aric Almirola. Busch is the only one who starts up front so I will keep him as the anchor of my Group B picks. I like the speed from the No. 11 car so Hamlin will remain as my 2nd driver in Group B. I am also leaving Kyle Busch in as the Group A Driver and Ty Dillon as the Group C Driver. The only change to my Fantasy Live lineup will be with my Garage Driver. I am switching Denny Hamlin for Brad Keselowski. The No. 2 car will start 8th now. Keselowski should compete up front Saturday night.